This paper explores an increasing awareness among policy-makers that learning outside can provide beneficial experiences for pupils in compulsory education. It has arisen from the work undertaken during a three-year UK Economic and Social Research Council International Networking and Partnership Award (ES/J019445/1), in which colleagues from Australia, Denmark, England and Singapore met regularly to discuss learning outside, to theorise activity and to disseminate research undertaken in each nation. Barthel, S., Belton, S., et al. (2018). Fostering children’s connection to nature through authentic situations: The case of saving salamanders at school. Frontiers in Psychology. https://doi.org/10.3389/fpsyg.2018.00928. Bølling, M., Niclasen, J. et al. (2019). Association of education outside the classroom and pupils’ psychosocial well-being: Results from a school year implementation. Journal of School Health. https://doi.org/10.1111/josh.12730. Department for Education and Skills (2006). Learning outside the classroom manifesto, http://www.lotc.org.uk/wp-content/uploads/2011/03/G1.-LOtC-Manifesto.pdf (Accessed 14.12.2018). Department for the Environment, Food and Rural Affairs, European Centre for Environment and Human Health & University of Exeter (2017). Evidence statement on the links between natural environments and human health. Online: https://beyondgreenspace.files.wordpress.com/2017/03/evidence-statement-on-the-links-between-natural-environments-and-human-health1.pdf (Accessed 22.09.2018). Gilchrist, M., Passy, R., et al. (2016). Exploring schools’ use of natural spaces, in Freeman, C. & Tranter, P. (eds) Risk, protection, provision and policy, Vol. 12 of Skelton, T. (ed) Geographies of Children and Young People. Springer, Singapore, https://doi.org/10.1007/978-981-4585-99-6_18-1. Gray, T., & Pigott, F. (2018). Lasting lessons in outdoor learning: A facilitation model emerging from 30 years of reflective practice. Ecopsychology. https://doi.org/10.1089/eco.2018.0036. Gustafsson, J.-E., Westling, A., Akerman, A., et al. (2010). School, learning and mental health: A systematic review, http://su.diva-portal.org/smash/get/diva2:317965/FULLTEXT01.pdf (Accessed 14.12.2018). Gutman, L., Brown, J. et al. (2010). Change in wellbeing from childhood to adolescence: risk and resilience [Wider Benefits of Learning Research Report No. 34], Centre for Research on the Wider Benefits of Learning, Institute of Education, University of London: London, http://discovery.ucl.ac.uk/10019040/ (Accessed 14.12.2018). HM Government (2011). The natural choice: Securing the value of nature, https://www.gov.uk/government/uploads/system/uploads/attachment_data/file/228842/8082.pdf (Accessed 14.12.2018). Lloyd, A. & Gray, T. (2014). Outdoor learning and the importance of environmental sustainability in Australian primary schools. 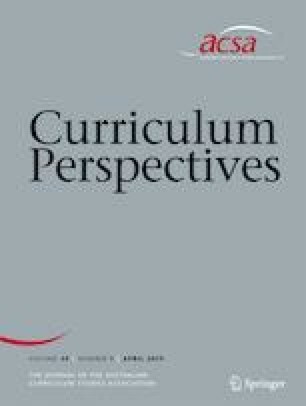 Journal of Sustainability Education, http://www.jsedimensions.org/wordpress/content/place-based-outdoor-learning-and-environmental-sustainability-within-australian-primary-school_2014_10/ (Accessed 14.12.2018). Ofsted (2008). Learning outside the classroom. How far should you go?, http://www.lotc.org.uk/wp-content/uploads/2011/03/G1.-LOtC-Manifesto.pdf (Accessed 14.12.2018). Sahlberg, P. (2012). How GERM is infecting schools across the world? http://pasisahlberg.com/text-test/ (Accessed 14.12.2018). Waite, S., Passy, R. et al. (2016). Natural Connections Demonstration Project, 2012–2016: Final Report. Natural England Commissioned Reports, Number 215, http://publications.naturalengland.org.uk/publication/6636651036540928. Watts, J. (2018). Huge risk if global warming exceeds 1.5C, warns landmark UN report, Guardian, 8 October, https://www.theguardian.com/environment/2018/oct/08/global-warming-must-not-exceed-15c-warns-landmark-un-report (Accessed 08.10.2018). World Health Organization (2016). Report of the commission on ending childhood obesity. Available at: http://apps.who.int/iris/bitstream/10665/204176/1/9789241510066_eng.pdf (Accessed 14.12.2018).